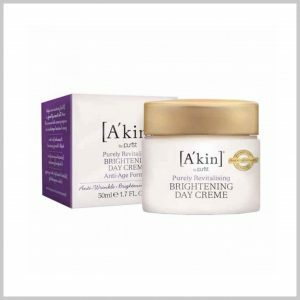 A specially formulated targeted anti ageing day creme for mature skins to reduce visible signs of ageing such as dull sallow skin, fine lines and wrinkles. A specially formulated targeted anti ageing rich night creme for dry and mature skin to nourish, firm, lift and smooth skin for visibly reduced lines and wrinkles. 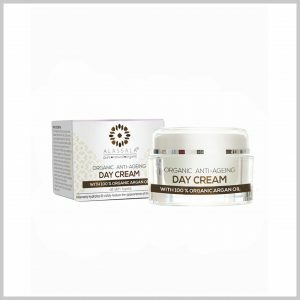 Alassala Anti-Ageing Day Cream is a luxuriously smooth and creamy moisturiser with a silky, soft texture and a subtle yet delightful fragrance. It is made with the finest premium naturally derived ingredients available including precious natural emollients and the rare Organic Argan Oil. With 91,90% organic ingredients, and 99% natural ingredients in total, all ethically sourced, this unique formulation delivers a high performance moisturiser. It helps hydrate and soothe dull and dehydrated skin promoting a luminous, dewy and radiant glow whilst helping to prevent skin ageing. It intensively cares for mature skin and smo smoothes the complexion, supports the skin regeneration processes and helps to soften and rejuvenate skin. This intelligent Anti-Ageing Cream absorbs well without stickiness or heaviness, making it act as the perfect make-up primer. This organic sea buckthorn-rich certified anti-ageing moisturising cream is perfect for mature skin in need of a gentle lift and tone. Natural tannins help tighten and firm facial skin that has lost it's tone. 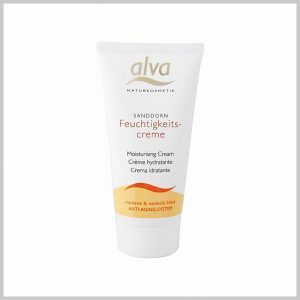 Alva's best-selling certified organic anti-ageing moisturising day cream, rich in cold-pressed organic sea buckthorn oil along with hyaluronic acid. Perfect for mature, normal and sensitive skin. 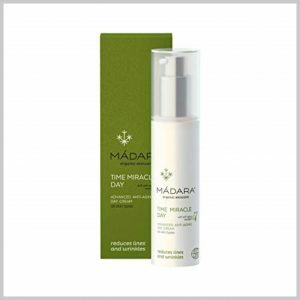 A light intensively hydrating certified organic alcohol-free moisturising fluid combining the anti-ageing and skin rejuvenating benefits of organic sea buckthorn and royal jelly. 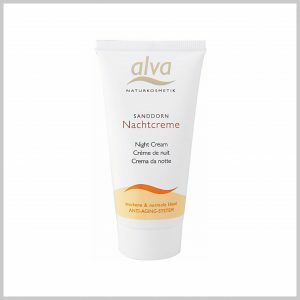 A fast acting, easily absorbed certified organic anti-ageing, intensely moisturising night cream which is rich in organic sea buckthorn. Perfect for mature, normal and sensitive skin. This firming, restorative moisturiser brings you the nourishing and conditioning powers of collagen and elastin, proteins found in your skin. Together they create a film on the skin's surface that instantly improves texture and helps hold moisture in. We've enhanced it with the long-term firming and anti-wrinkle properties of milk protein peptides to lift and smooth the complexion and reduce visible signs of aging with twice daily use. Repairs skin’s DNA, prevents environmental stress damage and stimulates the production of youth proteins. Wrinkles and lines look smoother, the skin is suppler and reveals a more youthful appearance. 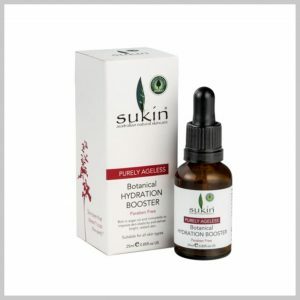 Unique water free formula with Birch juice and organic cellular repair complex Galium7 with Madara (Galium verum) extract and active Northern plants. Antioxidant, Restore & Hydrate Restore skin with this potent blend of antioxidant rich Argan and rejuvenating Shea Butter, while Cocoa Butter hydrates and Jojoba protects. Made with 90% organic ingredients. 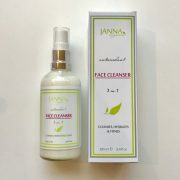 For Dry,Normal and Sensitive Skin.